Disclosure policy is valid as of April 2, 2014, updated August 2018. Rehabitat Home is an EGP Media and Press, LLC website. We care about protecting the data and privacy of our users and visitors. Please read more about how information is collected and/or used below. Rehabitat Home is written and/or edited by Chris and Kara Carrero with some contributors and guests. Any advice given is based on personal experience and/or research. It does not substitute the opinions of qualified professionals. On this site you will see third party advertising, newsletter sign ups, and downloadable forms. When inputing your name, email address, or other information this is used for the express purpose of sending you relevant weekly news and occasional product recommendations. You are always free to unsubscribe and we will never send you SPAM. Your information will never be shared. Leaving a comment on an article requires a name and email address; this is only for the use of any follow-up comments and will not be visible to others, sold or shared, or used in any way other than follow-up comments. All products, both free and paid, require agreement to the terms of service. The terms include being added to the weekly email list so that we can also send updates to products. Shopper and subscribers are free to unsubscribe at any time, upon unsubscribing, no future updates will be sent of either the newsletter orthe product. This website is involved in 3rdparty affiliate advertising and marketing including, but not limited to, Amazon Affiliates and Google AdSense. Cookies may be used in 3rd party advertising, but is not information accessible to my personal website or myself. KaraCarrero.com is a participant in the Amazon Services LLC Associates Program, an affiliate advertising program designed to provide a means for sites to earn advertising fees by advertising and linking to Amazon.com. While the ability to implement advertising is granted to said corporations, not all content of advertising is able to be chosen or monitored. Some advertising may be targeted at a specific reader without my knowledge. KaraCarrero.com should not be held liable for content in 3rdparty ads. 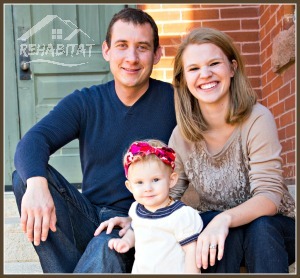 Rehabitat Home accepts advertising, sponsorships, and blogger ambassadorships paid in cash and/or merchandise. Our family values honesty and will always disclose and clearly identify that ads are a part of sponsored content. We strive to abide by the law and be transparent in our business relationships and to our readers. Though compensation may influence the subject matter of some of my posts, all opinions are our own regardless of sponsorship. We are compensated to provide opinions on specific products and services, but is always indicated at the beginning of the post. Any claim made about a product should be verified by the manufacturer. Your privacy on Rehabitat Home s always protected. With any purchase, free download, or other means where your name, email address, address, credit card information, or any personal information is collected, it is for the sole purpose of record keeping and the system I use to deliver content to you for free and is not used or looked at for any other reason. Your information will never be sold to any third party companies and it will never be accessed without your consent. Adult supervision is recommended (and usually required) for every project and activity featured on Rehabitat Home if kids are going to be involved and necessary safety equipment is encouraged and recommended for all parties during all projects. Please carefully read the instructions for each activity thoroughly before deciding whether or not it is appropriate for your family. If you have any questions, please ask. However, Rehabitat Home and its writers are not responsible for any injury or damage while replicating crafts, recipes, and/or other activities on this blog. All DIY projects should be practiced with safety in mind and Rehabitat is not responsible for any damages or injury incurred while using any of our tutorials, using our information, or replicating projects from this blog. If doing any project as a family, adult supervision is recommended (and usually required) for every project and activity featured on Rehabitat. Please carefully read the instructions for each tutorial thoroughly before deciding whether or not it is appropriate for you and/or your family. If you have any questions, please ask. However, Rehabitat and its writers are not responsible for any injury or damage while replicating crafts, recipes, and/or other activities on this blog.